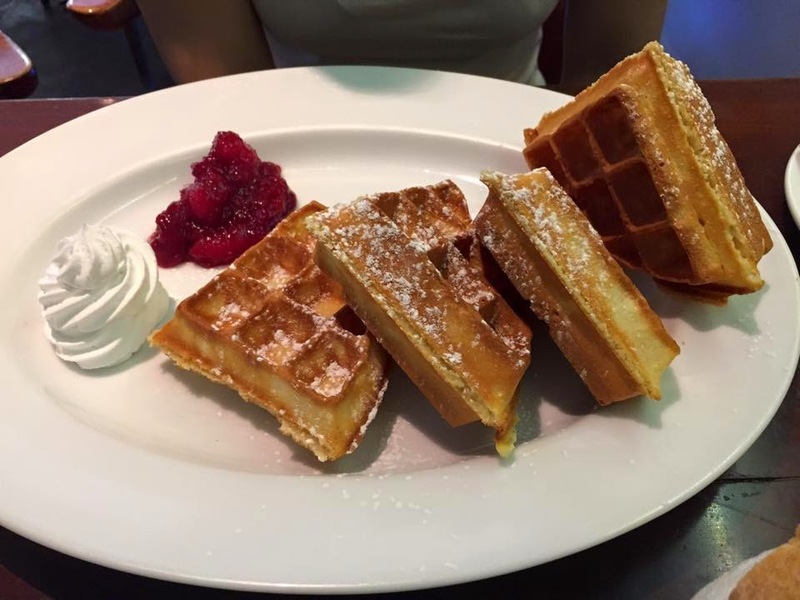 If your missus says that she wants to eat waffles in the middle of the afternoon, way after breakfast hours, then Indigo Deli is the place to head to in Bandra. They have an all day breakfast it seems. Be prepared that she might say that waffles are eggy though. Which they were. I liked the texture of the waffles. Not too chewy, or dense. 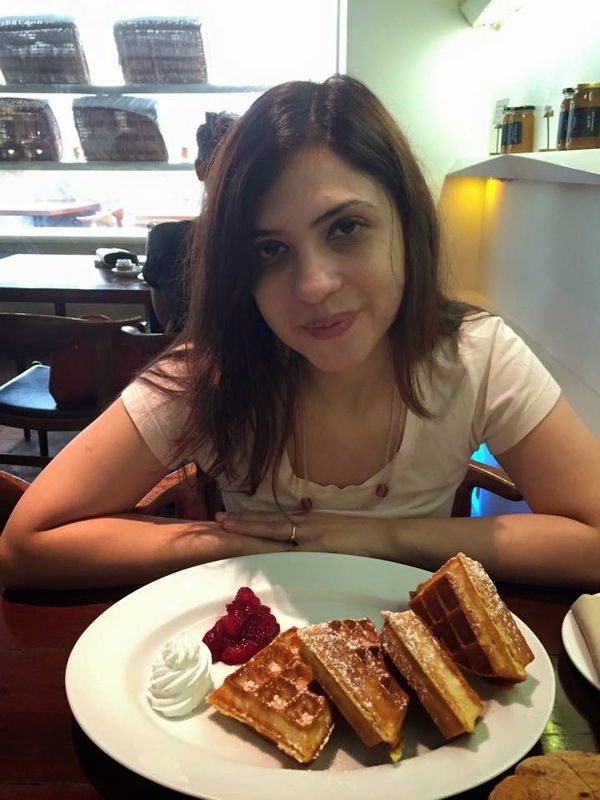 We miss the waffles at Mocha Mojo, Bandra, which is now shut. 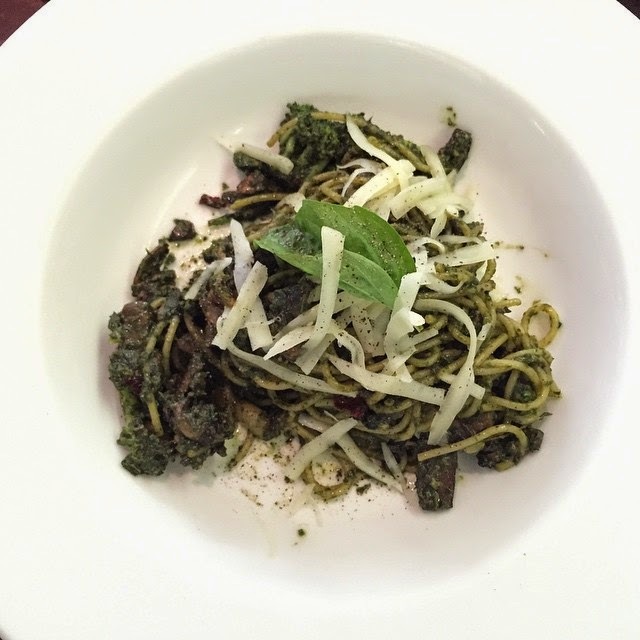 I went for the spaghetti with pesto and no cream which is always my order when I go to Indigo Deli for a meal. This is not on the menu so you have to ask for it. It is consistently good as it was today. They made it with broccoli and mushrooms which, on retrospect, I felt were superfluous. The pesto mix was generous and intensely flavoured and out-shouted the veggies which were not really integrated into the spaghetti and were placed separately. The spaghetti was nice and firm, al dente and the dish always gives me pleasure here. The service is very courteous. Towards the end, the manager saw me take a piece of the waffles on a quarter plate and sent a waiter with a large, empty plate for me. Once, when I posted about a SaltWater Cafe meal, Gaurav Jain asked me on twitter, if I ever go to Indigo Deli. We go to SaltWater and SmokeHouse far more often than to Indigo and K said today that she was bit bored with that. What I like about SaltWater, SmokeHouse and even Sassy Spoon (where I've had iffy meals but nice breakfasts) is that the ambience is more cheerful than Indigo Deli which gets a bit dull during the day and is not that well lit. Indigo is always buzzing with people and you should book and go which we did. Give me a place which is packed with people any day. I get anxiety attacks in empty restaurants.